Diagnosis is one of the cornerstones of being an exceptional "Root Canal Specialist". Los Angeles Endodontics realizes the value in utilizing cutting-edge technology. This is why Dr. Parsi has embraced CBCT or the dental CT scan years ahead of his pears. The Suni 3-D is outstanding at diagnosing conditions that can not be detected or seen in conventional 2-D radiographs. 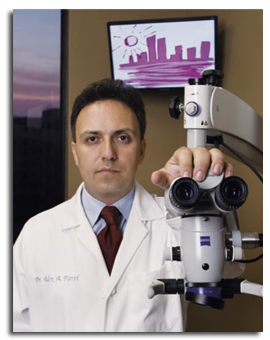 Rest assured, you are getting the best care under the able care of Dr. Alex Parsi of Los Angeles Endodontics.